The year is 2020. Shin Hazama is an ordinary high school boy living in Tokyo. One day he suddenly encounters a boy named Jin who looks exactly like him and claims he came from “another” world. According to Jin, there is another world which an evil queen, Kotoko completely dictates the world by controlling all the wealth and also executing whomever is against her. Also, the another world is planning expanding its territory by taking over the “our” world and sending troops soon. The two worlds are interconnected. If one person dies in one world, the other person dies in the other world, too. They are “Relative Worlds”. 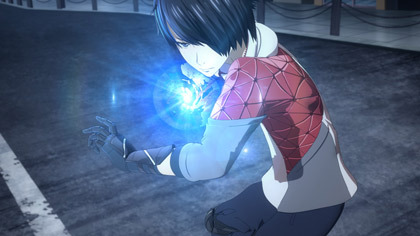 Jin who is a part of the resistance group, travels to Tokyo to assassinate the other self of the evil queen. The queen also sends a female robot to protect herself. Shin decides to help Jin but discovers that the evil queen in his world is actually Kotori Izumi who is a close friend and a classmate. Will Shin have to assassinate his long-time friend Kotori to save the both worlds?